Dear Future Husband, Please Dance With Me The Way Rannvijay Does With His Wife! Remember how a few days ago, pictures of hottie Rannvijay Singha wearing a turban at a family wedding set our hearts racing?! This time around, it was Rannvijay's cousin brother Zorawar Sangha's wedding and considering it was a family affair, his beautiful wife Prianka Singha also joined him in the big fat shaadi celebrations. 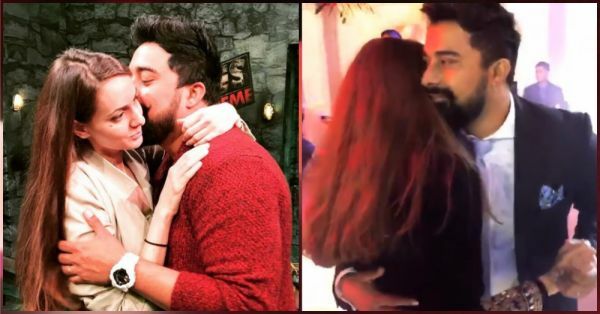 To our joy, Rannvijay just shared a beautiful video from the wedding where he's dancing with his wife and it's so heartwarming! The lovebirds danced hand in hand and looked more in love than ever! Needless to say, can we ever miss sharing such an exciting sight with all you lovelies? Absolutely not! Their super romantic dance is a sight to behold. Take a look.